Sota staff were outstanding team players working with our staff in a unified and cohesive manner to project and eliminate many numerous on-site obstacles. 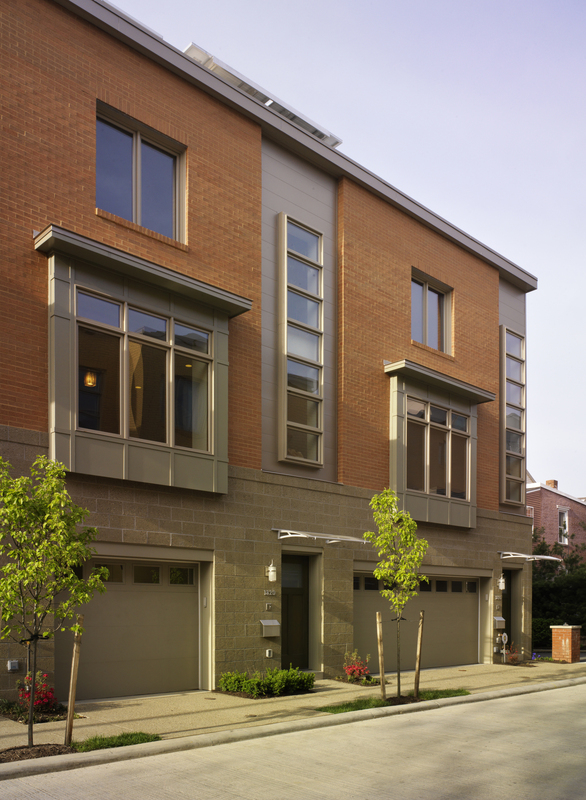 Located in the urban South Side neighborhood of Pittsburgh, the Riverside Mews Net Zero house is a part of Riverside Mews, a high density development of 32 units per acre, which is being built on a former brownfield site. 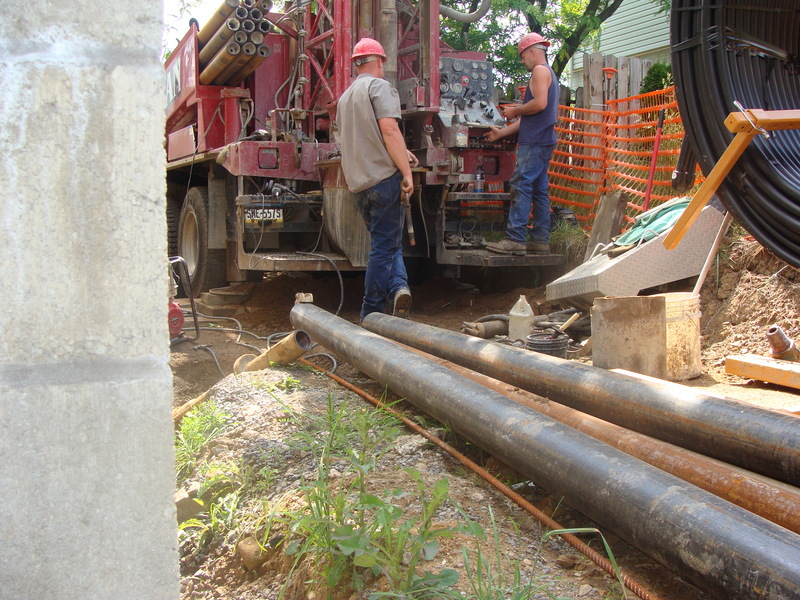 All of the townhomes exceed Energy Star requirements. Typically the homes score in the low 50s. Thanks to a Walk Score™ of 91/100 and a Transit Score™ of 70/100, homeowners at Riverside Mews can enjoy both a sustainable residence and a sustainable lifestyle. 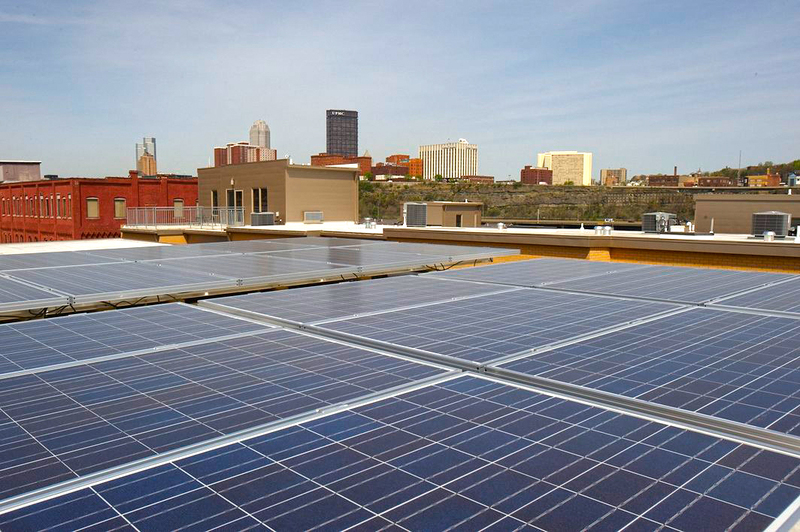 Extra efforts were taken at the Net Zero to go above and beyond this, and it was marketed as the first net-zero energy home in the city of Pittsburgh. It is a two-bedroom, 2-1/2 bath townhouse, using 36 photovoltaic solar panels on the roof, geothermal tubing that reaches 450’ into the earth, and a desuperheater that uses excess heat from the heat pump to heat domestic hot water. The cutaway in the slideshow portrays all of the many incredible features that help this home achieve energy independence. Energy consultant MaGrann Associates provided Energy Star certification services which yielded a HERS index rating of -4. Other sustainable highlights include: LED lighting, low-voltage light controls, Energy Star appliances, a white reflective roof, low- and no- VOC paint, bamboo flooring, and siding and decking made in part from recycled aluminum and plastic bags. The USG drywall contains recycled content, and the concrete block has Allegheny River gravel in it. There's even a undercounter composter in the kitchen that turns scraps into compost in about a week-and-a-half. Sota wanted to emphasize the point that being energy-conscious doesn’t mean you have to sacrifice great design or comfort, but you can enhance it through simple, replicable measures. If the goal of your Total Quality Construction program is to satisfy the client, please let it be known that you have exceeded your goals and our expectations.